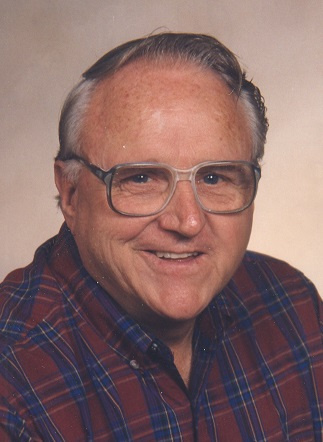 Robert Sage, 86, of Oelwein passed away on Monday April 1, 2019 at Allen Hospital in Waterloo. Visitation will be from 4-7 PM on Friday April 5, 2019 at the Geilenfeld Funeral Home in Oelwein. Funeral services will begin at 11:00 AM on Saturday April 6, 2019 at the Calvary Evangelistic Center in Independence. Interment will be in Garden of Memories Cemetery at Waterloo. A memorial fund has been established. Robert Evan Sage was born in Waterloo on November 14, 1932 to parents Donald and Elaine (Gordon) Sage. He graduated from Waterloo East High School with the class of 1950. Bob then served his country in the United States Navy. On March 11, 1956 he was united in marriage with Val Stout and they were married for 41 years. On June 19, 1999 he was united in marriage with Charmaine Leedall of Ottumwa and they were married for 13 years. Bob was a longtime farmer and also co-owned Miller & Sage IH, an International Harvester dealership, in West Union. He served as Mayor of West Union for 8 years. Bob also owned and operated many rental properties. Bob is survived by his children: Dan Sage of Arlington and Holly (Troung) Ly of Hendersonville, TN; his brothers: Thomas Sage of Pine Grove, CA and Ernest Sage of Dunkerton; 14 grandchildren and numerous great-grandchildren. He was preceded in death by his parents; his children: Victoria Kim and Scott Sage; his siblings: Eddie Sage, Ethyl Adsit, Donald “Bill” Sage and Rosemary Fliss. We wish we could be with you this week. We send our thoughts and love; we are there in spirit. Uncle Bob was a special man, full of energy, good will, humor, and a compassionate heart. I always enjoyed listening to his jokes around the table with his brothers and Grandpa Sage. Then, the ice cream would come out and we'd all eat too much of that. The Sages and their ice cream were a sight to behold! His good nature, joy of life, and love of family will be missed. Our hearts share your loss and sadness. God bless you! My condolences to the family. I fondly remember Bob from quite a few years back from our mutual R.E business dealings in the Waterloo/Cedar Falls area. He was a fair,equatable and a honest man whom didn't hesitate to speak his mind, an attribute many others would be wise to attain. Originally I had met his son Scott and became friends with him prior to his own passing. I remember trout fishing at Backbone State Park years ago with my then youngest son Matthew. Scott pandered over asking me about fishing and a great conversation eschewed. We followed up and continued to be friends over time and Scott actually sold my wife and I our first and only Grand Piano. Scott was proud of all the achievements his father had done over the years and I remember Bob likewise holding proudly what Scott endowed in his music talents. To the family, stay strong and continue to carry the honor these men held as I know you proudly will.. God Bless. The first thing that comes to mind when I think about Bob Sage is his beautiful voice. Bob would lift his powerful tenor vocals during special occasions at Wadena Christian Academy and at the Volga church. It was always an inspiring event! He was also a very giving man and would volunteer his time, finances, and elbow grease to help anyone in need. He made one particular 4th of July very special for me and my family by inviting us to celebrate on his farm. We watched in awe as fireworks lit up the sky and the booms echoed across the valley. It was a magical night. You, the family, are in my thoughts and prayers as you go through this time of remembrance. I will always carry fond memories of Bob with me.